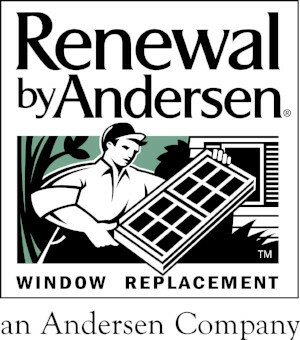 For our most recent news and information, please subscribe to our monthly newsletter. 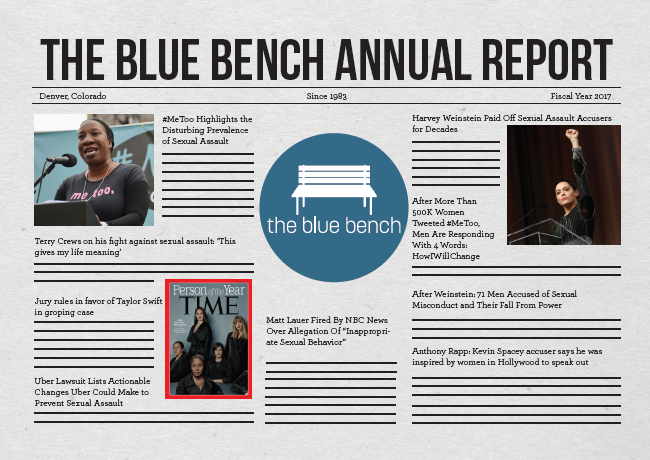 Detailed explanations about the prevention and education programs offered by The Blue Bench. 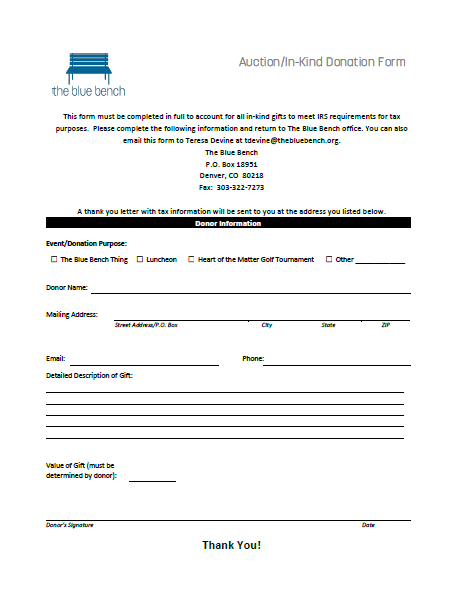 Detailed descriptions of client service therapy and support programs offered by The Blue Bench. 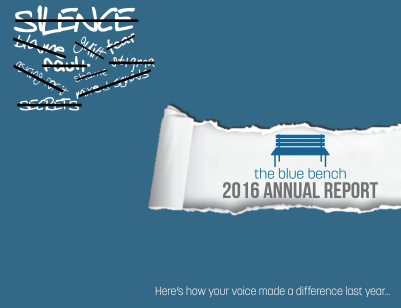 More information on sexual violence and The Blue Bench's commitment to improving these statistics. With the emergence of the MeToo movement, 2017 was a tide-changing year for sexual violence. Here's how our metro Denver community responded.